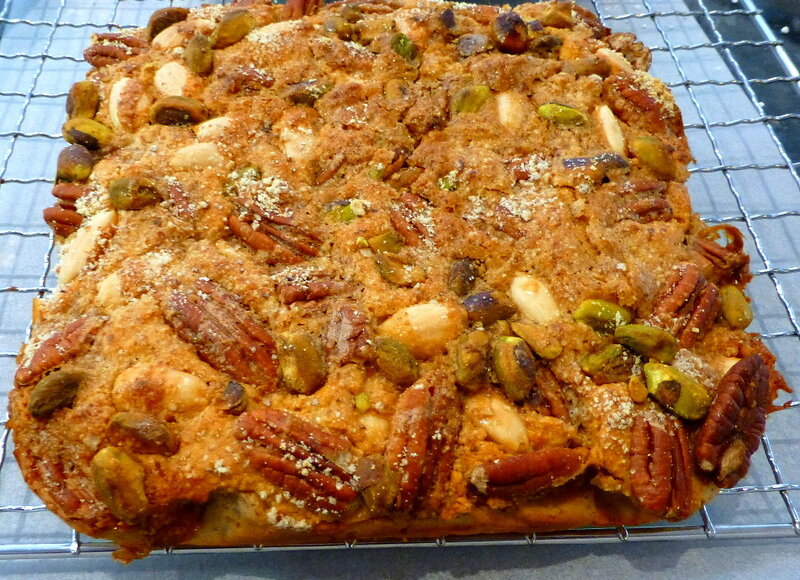 This is a relatively healthy slice, moist and tasty and packed with nuts and fibre. This is super easy to make - pretty much just whack everything in a bowl - and makes a great breakfast slice if you are in a hurry. I have used spelt flour and non-wheat based flours out of preference, please do not fell obliged to follow this example, use whatever flour you prefer. One note though, I would recommend a whole-grain flour rather than a super-white refined flour as it has a much great flavour contribution. Keep the nuts aside while preparing the rest of the slice. Whisk the eggs with the yogurt, syrup, orange juice and sugar. Add the spice and 1 tablespoon of sugar. Add all the dry ingredients and mix lightly, just enough to combine the ingredients. Line a small baking tray with baking paper and pour in the batter. 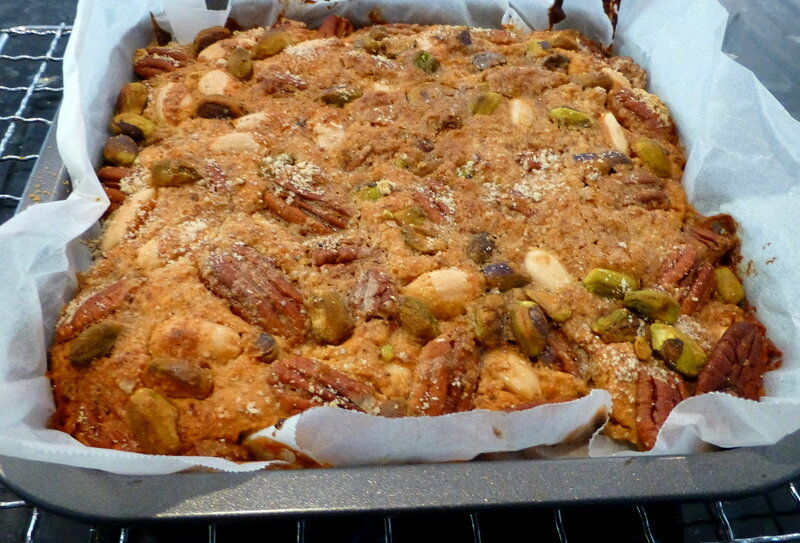 Add the nuts and sprinkle the reserved dark brown sugar over the top of the slice. Bake in a moderate oven for 25 minutes or until lightly golden brown. This slice is best served once cooled and will last well if stored in the fridge - makes a great quick breakfast!